Developed by Falcon Sports Boats in 1983, this was my first powerboat design. She turned heads and proved very popular with around 150 boats built. 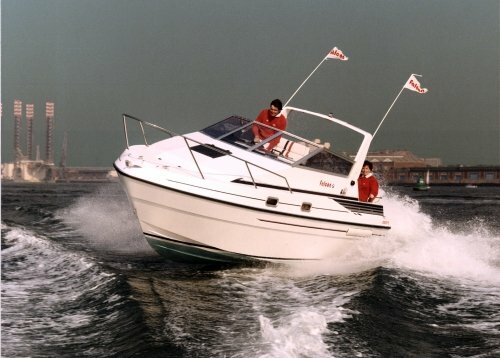 Shown here on a demonstration run at the Southampton Boat Show sometime in the early 1980s.